DESCRIPTION Price Reduction !!! Desirable Bi-Level in Coventry Hills, this Jayman built Bi-level Features Vaulted ceiling developed basement and 2 car garage. Open Concept Living room, Dining room Kitchen and 2 bedrooms. The kitchen has Maple Cabinets and Black appliances. The lower level has huge Family room, 3rd bedroom, 2nd Bathroom, Laundry and storage. Out back you will find a full size double detached garage. Location is key, you don't have to cross any busy streets to get to schools. Shopping and transit are close by. Home for sale at 76 Covepark DR Ne Calgary, Alberts T3K 5X5. 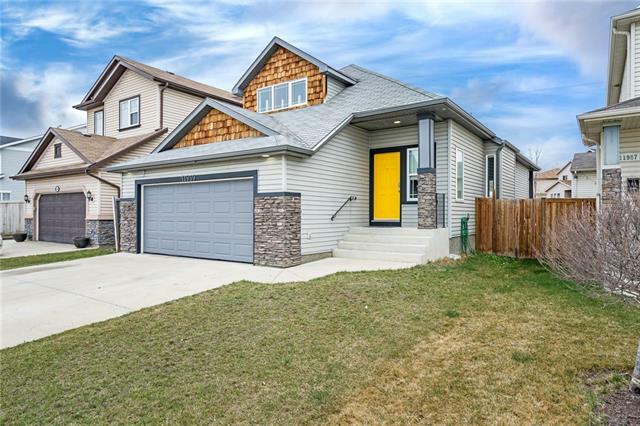 Description: The home at 76 Covepark DR Ne Calgary, Alberta T3K 5X5 with the MLS® Number C4218137 is currently listed at $359,900.